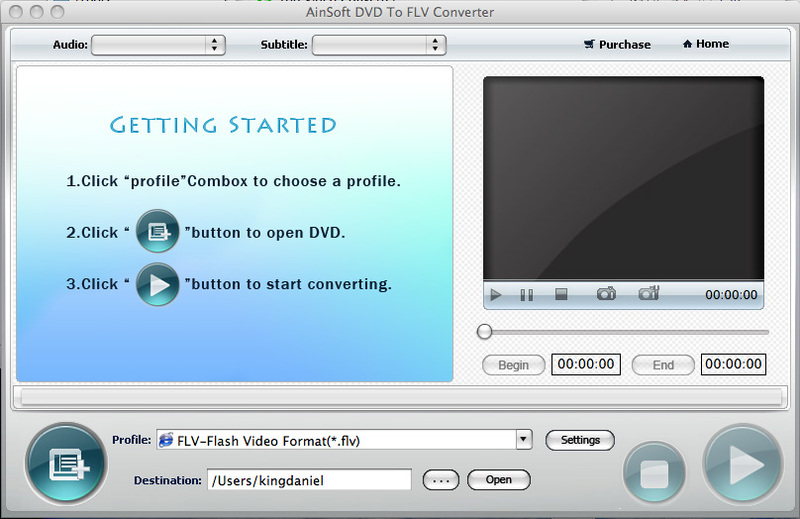 Convert DVD to FLV (Flash Video) format. Adjust the parameter to have a smaller output FLV file size. Clip your favorite movie segments by setting start time and end time. Convert DVD into FLV/SWF so that they can be put on Internet. The output FLV file retains perfect sound and image quality. 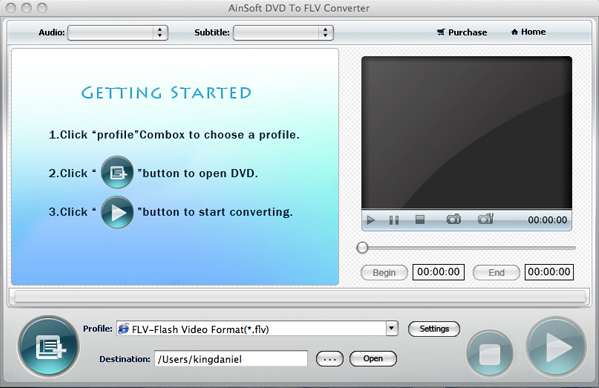 With a simple and easy operation interface, DVD to FLV Converter for Mac is a pretty good assistant for you to convert DVD to Flash Video format (FLV). It cannot only help you capture images when you are previewing, the smaller output FLV file that still keep excellent sound and image quality will be very convenience for you to store. Furthermore, this DVD to FLV Converter can cut DVD movie into FLV video format so that you can put the output file on YouTube. The effect of the output FLV file such as video quality, video size and channels are changeable. So if you are afraid the output files are too big for you to store, you could set a smaller parameter before converting. 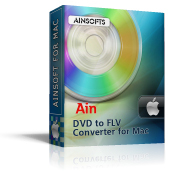 Ainsoft DVD to FLV Converter can help you cut DVD movies into 3GP movie segments, if you want to upload some video files to Internet, this function will help you a lot. You can preview your DVD movies before converting, and if you only want convert some movie clips, you can set the time length by setting start time and end time. This program has “ Automatically shut down the program” option for you, if you don’t need this; there are “ Open target folder” and “ Do nothing after conversion”, you can choose any of them as you need before converting.